Rydges Hobart captures Hobart's historic past with comfort and convenience for the travelling guest or family offering attentive personalised service in a boutique setting. 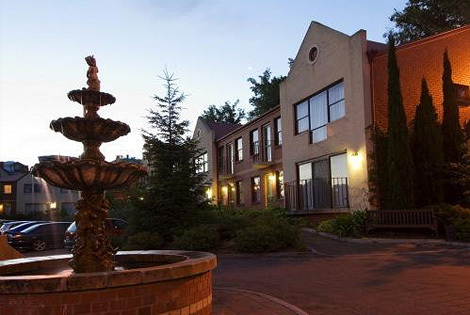 Located 1.7 kms from the city centre in North Hobart we have ample free parking with easy access to the major tourist routes and attractions. Our 64 rooms provide a variety of options including Antique Suites, Heritage listed Cottages, Family Suites and our spacious Manor and Superior rooms. Brickfields restaurant is open daily with beautiful views overlooking Hobart and the Derwent River with a seasonal menu featuring use of local produce. Experience our friendly hospitality in a unique historical ambiance.